The Skills and Qualities Needed to be a ​Simultaneous Interpreter - Niki's Int'l Ltd. The occupation of a simultaneous interpreter is one that borders technical and artistic work. Bridging gap’s in communication is the driving force behind becoming an interpreter, however it takes a special type of person with extraordinary skill in multiple facets to be a simultaneous interpreter. As stated in the article, “How to Guide: Becoming an Interpreter,” a degree in a specified language or even in interpretation is not always mandatory in becoming a simultaneous interpreter. However experience is always a major plus and many employers are looking for candidates who have had formal course work in interpretation as well as experience in the field. When it comes to hiring a simultaneous interpreter, recommendations from a professional language service provider is the most reliable source. Well respected interpreters only recommend other well respected interpreters, so providing an excellent service while on the job will more than likely lead to other job opportunities and help you to establish a name for yourself as a professional simultaneous interpreter. “A Day in the Life of an Interpreter,” talks about the general profession, how you get started, and what it takes to work as a simultaneous interpreter. As a simultaneous interpreter, it is a must to have impeccable knowledge in one or more languages in addition to your native language. Just being bilingual is not enough, your understanding of that language should be comparable to an educated native speaker. You should be able to read the newspaper and understand the jokes in the comic section and converse about historical, theoretical, political and social subject matter with ease. You should be able to watch T.V. in that language as well as read books. The majority of the time you will find that to achieve that type of proficiently, you will need to live in the country of the language you are learning for a period of time. Many interpreters have lived international lives, thus allowing them the acquired skill of speaking another language proficiently. Overall it is imperative to be extremely articulate in your native language as well as in the foreign language in which you speak. Learning is an ongoing objective for a simultaneous interpreter, so once school or interpreter training has been completed it is important to constantly be feeding your mind new information, whether it be current events or information on topics that you know little to nothing about. Your job as a simultaneous interpreter will put you in many situations, conversing with different people regarding all sorts of topics. So intaking general knowledge on a multitude of subjects on a regular basis is a great way to advance your education while you’re working as a simultaneous interpreter. It is essential to encompass the love of learning and develop a curiosity for things beyond your realm of knowledge. The ability to deal with stress well is a quality that is important to have as a simultaneous interpreter. At times the job can be very stressful, fast paced and tiring and this can take a toll on some interpreters. When you are interpreting everyone is counting on you in order to be able to communicate with one another. That is an immense amount of responsibility to have on your shoulders, especially if it is regarding a negatively charged political matter or a high profile court case. You have to keep up in pace and constantly be accurate throughout your entire interpretation. Your focus has to be 100% during simultaneous interpretation, not allowing yourself even seconds to think about something else and that is very demanding and stressful. Keeping control of your emotions can be a difficult task in itself, but you have to remember to remain the “silent voice” on stage. You are an actor or actress and it is your job to play the part of the person that you are interpreting for. You not only have to interpret linguistically for them but you have to display their emotions and true meaning of what they are saying to the audience. Some jobs you take on may be particularly stressful due to the nature of the topic at hand while others may be a walk in the park, so having the ability to deal with stress well and exhibit self control are qualities it takes to become a simultaneous interpreter. How Do Simultaneous Interpreters Brain’s Work? There is something absolutely remarkable about watching a person simultaneously interpret. To be able to use a well formulated mixture of sensory, cognitive and motor skills all at the same time is pretty mind blowing. The act may seem mundane, but when you really think about it, it is quite extraordinary that it is even humanly possible. Essentially the interpreter listens to the speaker’s message who is speaking in the source language while simultaneously constructing and articulating the same message into the target language. All of this has to be done without a flaw and in real-time, no pauses or questions asked. This is such a daunting task that the majority of the time you will see simultaneous interpreters working in pairs or groups. The work requires such a great deal of attention and focus that it easily drains the interpreter at a rapid speed. Even the best interpreters work in pairs to reduce fatigue and will switch off interpreting with their partner every 30 minutes or so. This helps the interpreters with not only fatigue but it ensures a more accurate interpretation and reduces mistakes. Language has been a very interesting subject of study amongst neuroscientists for a while and it is known that language is a very complex cognitive function that humans possess. While performing the act of simultaneous interpretation, your brain is actively working in two languages at once. Your brain is working at an advanced level while remaining 100% focused in order to be able to perceive, prepare and produce content all at once. Areas of the brain known as the Broca’s area, caudate and the putamen which are known for their roles in language production, learning, planning and execution of movement all work together like a well oiled machine to manage language production as well as comprehension. In “A Formula for Success in Simultaneous Interpreting,” Professor Chikako Tsuruta, professional simultaneous interpreter, talks about her experience teaching at the Tokyo University of Foreign Studies. She also talks about her own professional experiences working as a simultaneous interpreter. Professor Tsuruta lists what she considers to be the most important tips to adopt while working as a simultaneous interpreter. She states that there are 11 qualities that one must possess to really succeed in the career. Simultaneous interpretation is the super power of language translation services. It takes a tremendous amount of focus, understanding and skill to complete a successful simultaneous interpretation. You must exhibit many of the qualities listed above to be able to work professionally in the field. Interpretation is such an important part of how people interact and understand one another and awareness of it’s importance is growing as we become more connected with one another around the world. 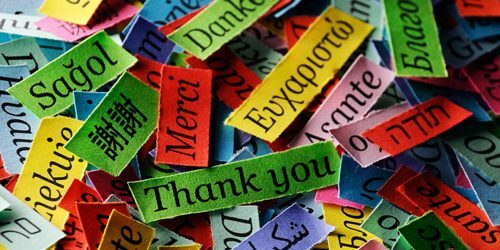 There is a great need for people who understand and speak multiple languages and it is imperative in today’s society. Interpretation is essential in so many different aspects of life, true understanding is really what makes the world go round, and without interpretation, understanding would be impossible in many situations. Albert Einstein’s last words were spoken to his nurse in German and she did not understand nor speak German, if only there had been an interpreter present the world may have been left with just one more fascinating piece of knowledge. Niki’s Int’l Ltd. is a WBENC-Certified Women Business Enterprise with 20 years of language service experience. A global network of highly skilled interpreters are available 24 hours a day, 7 days a week for on-site, telephonic and video remote interpretation services. Niki’s Int’l Ltd. offers many types of translation and interpretation services. Our linguists are available in over 350 languages and dialects, and our network includes certified simultaneous interpreters and translators. Our work is guaranteed with a $1 Million Errors & Omissions policy, so that you can be confident that your project will be completed with the highest level of quality and professionalism within the field. For more information contact us at 1-877-567-8449 or visit our website at www.nilservices.com.